← What do we do about Sunny? The same issue has gained traction in other communities, with some being out in front of London in terms of pop up sites like what’s coming to Ottawa, or government approval like in Toronto. And of course, we are all following on the coat-tails of Insite in Vancouver. One of the next steps for London in terms of the policy component is to sort out the zoning for such a service. This led to a recent London Free Press article, “Business groups want rules for London needle use sites“, in which I was briefly quoted. I thought it worthwhile to fill out my comments on this issue. 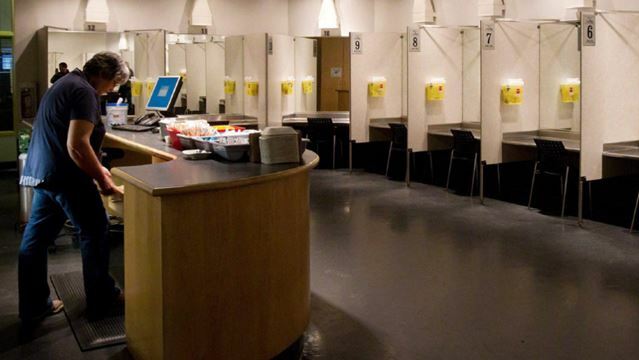 My thoughts on zoning for supervised injection sites come from what we learned in our study of Methadone maintenance treatment services in London. There are two key components for consideration that are not necessarily mutually exclusive, but do require some thoughtful balancing. Ensuring access: A key finding from our study on methadone maintenance treatment was that people accessing this service, which is an opiate substitute treatment, live in all neighbourhoods in London. Although there was some variability in terms of rates of use by neighbourhood, pick any neighbourhood in London and someone there is in recovery from opiate use. To that end, we need to be cautious not to, through zoning, overly limit access to the service such that it becomes unattainable. For zoning, this actually has a rights component in that policy shouldn’t be based on presumptions around the people accessing the service, but on the realities of the usage. Which leads to the second principle, good planning: So, although access should not be unduly restricted, this doesn’t mean that we toss out good planning principles that would make this usage work within communities. A number of the components of methadone clinic zoning are applicable here, such as: location in a commercial area, access to public transit, adequate car and bike parking, and adequate waiting room areas. This is not to be prejudiced against who is using the service, but to acknowledge that having a large number of people making short visits to any facility has impacts. So, for example, you wouldn’t drop a Tim Hortons on a residential court, as that would lead to traffic concerns, and you wouldn’t do the same with a supervised injection site. Planning principles guide all zoning, so are applicable here as well. Let’s consider a tangible example. Communities are setting up “pop up” sites, ie. tents that are fully serviced for supervised injection. Imagine that such a site is immediately located in Campbell Park, which is within walking distance of other services accessed by people who inject drugs. However, Campbell Park is quite small, and is the only dog park in the area for people who live in adjacent apartment buildings. This would likely lead to disagreements and neighbourhood frustrations, potentially scuttling the service and losing community favour for the model in general. Hence, insufficient planning can lead to the opposite outcome for those who are in favour of the service, whereas thoughtful planning will ensure the best outome and therefore increase the likelihood of viability and longevity of the service. You can see some of these principles at play at Insite (pictured below), where they have been thoughtful regarding space requirements, and include spaces such as a “chill out” room where people can go after using. Using too small a site that would lead to people “spilling out” into the surrounding sidewalk or other areas wouldn’t just be poor planning in terms of appropriate usage, but it actually increases the risk of an undetected overdose. In conclusion, it’s no surprise to anyone that I believe that supervised injection services are a crucial component of public health. However, I don’t believe that means that they should be developed wherever with no consideration to zoning. Rather, I think that quality zoning without being overly restrictive of access will ensure both success of the service and successful integration in the community. This entry was posted in Blog and tagged Blog. Bookmark the permalink.